Nicknamed the “Emerald City” for its lush evergreen forests, Seattle has a reputation as a forward-thinking and environmentally-minded city. However, even in the progressive Pacific Northwest, powerful institutional barriers can materialize to oppose environmental planning efforts. Kim Foltz (MCP ’10) tells the story of Seattle’s decades-long flirtation with interurban rail and reveals the great difficulty with which progress has been made. Transportation planning is one of the most intractable problems in sustainability. Transport systems are incredibly complex and deal with multiple and diverse barriers in the realms of finance, logistics, and politics. Also, because they often depend on special tax increases, large transit projects are generally subject to voter approval. 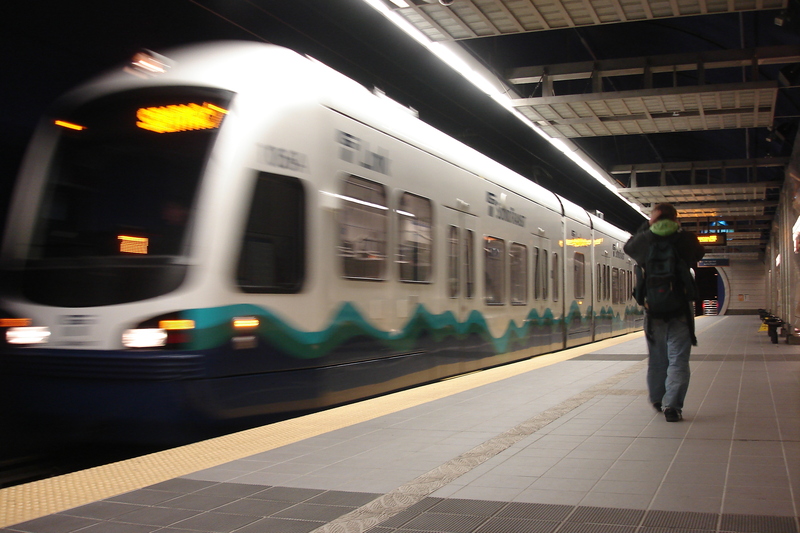 Beginning in the mid-1990s, transportation planners in the Seattle area tried to establish public support for a light rail system through the electoral process. Transit advocates have made incremental electoral gains over the years–most recently in 2008–but as Kim shows, these victories have been hard-won and reflect the resistance that planners face in securing public mandates for ambitious projects. Kim demonstrates the vulnerabilities that transit planners were subject to in the political process. Politically savvy rail opponents were initially able to hijack the public conversation by framing the region’s transportation problem solely as one of congestion, favoring new road-building campaigns and ignoring mass transit’s environmental benefits. Additionally, the need for public support throughout a three-county area led to competition among the various cities involved in the interurban rail project. These problems were exacerbated by what was originally a poor public outreach campaign on the part of the transit agency, and have resulted at several points in watered-down plans and concessions to political opponents. While transit advocates were eventually able to build support for a rail system in the Seattle area, the political process that led to their ultimate victory was exhausting and time-consuming. In her thesis, Kim weighs the benefits and drawbacks of making planning decisions through the ballot box. Read more here, or engage in a discussion about the public’s role in planning on EPP’s Facebook group. Posted on January 15, 2013, in transportation, urban planning and tagged Ballot Initiatives, Light Rail, Seattle, Transit, Transportation. Bookmark the permalink. 1 Comment. The issue of environmental conservation should be dealt seriously because it can cause major problems at a later stage. Hence, it is better for a sustainable environment & a better future.